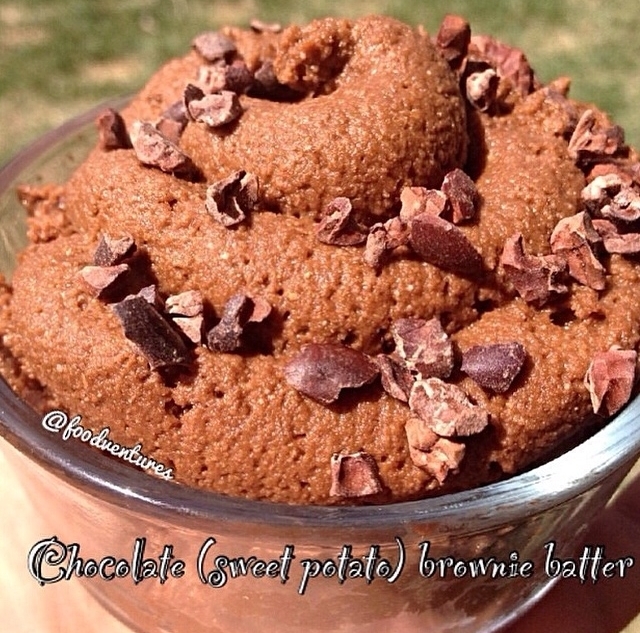 Raise your hand if you love brownie batter (raises hand). This one is bean free and instead made with sweet potato which lends a nice sweetness as well as a nice dose of nutrients. Combine all ingredients in a food processor until smooth and creamy. Faceplant.